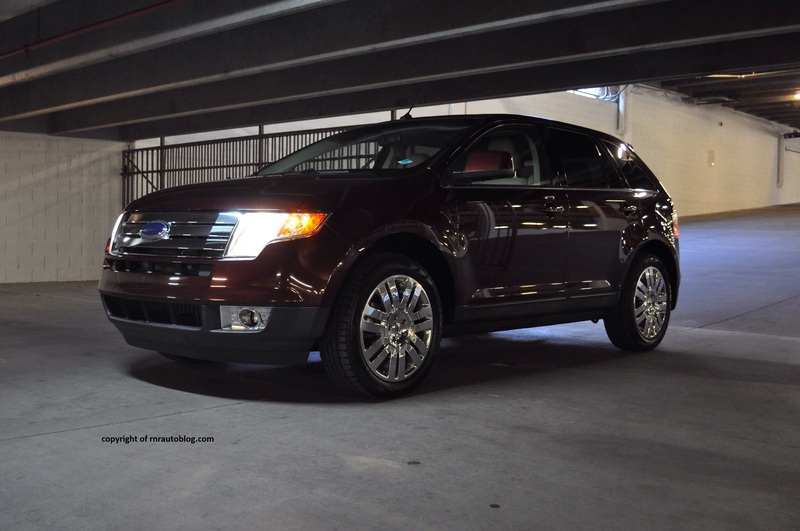 Design wise, the Edge breaks away from Ford’s typically sedate SUVs. 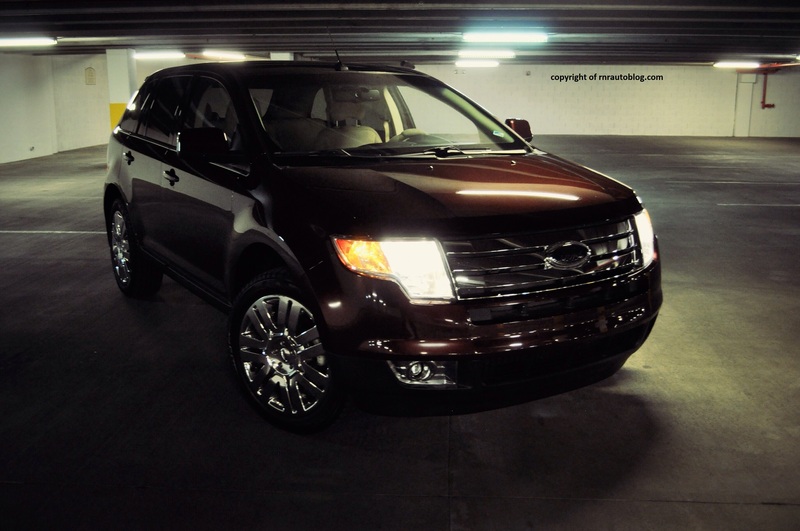 With an oversized chrome grille and sharp headlights, the Edge is edgy. The circular side profile and bulging fender flares lends an athletic feel to the overall shape. If I had to nitpick, it would be the chrome trim in the window line as it only outlines the bottom of the windows, and I would prefer it outline the entire window for a classy look. 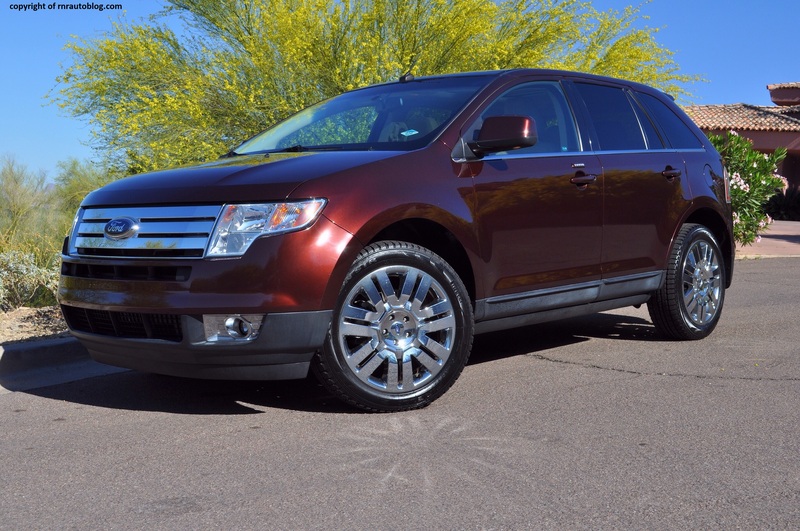 This may be the top of the line Limited trim, but the chrome wheels feel too glitzy and cheap. The dual exhausts and clear taillights accentuate the sporty look. In contrast to the exterior, the interior is bland, and it could be more original in terms of design. 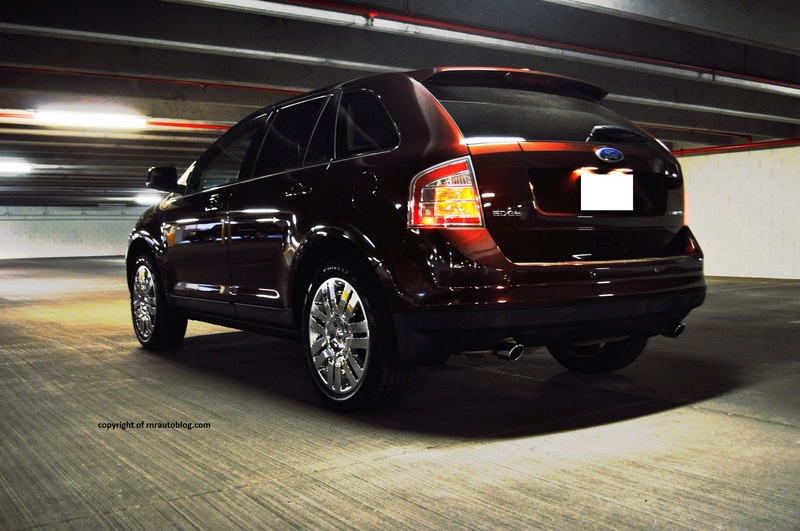 As far as midsize SUVs go, the Edge handles well. Body lean is well contained, and the steering has a good heft to it. On windy roads, it remained secure and composed. However, there is no escaping the Edge’s bulk. Push harder, and its handling limitations become apparent as the Edge understeers easily. The steering could use more precision and feedback. On normal roads, it glides but on poor roads, it still lets in bumps too much to be considered truly comfortable. The brakes provide average performance but have good modulation and feel. The sole powertrain combo is a 3.5 liter V6 mated to a six speed automatic transmission. With 265 horsepower, the V6 provides decent performance. Its abundant torque means it pulls easily from low revs. This engine is happiest at low revs, because it starts to feel strained as revs climb. The automatic transmission lags as evidenced by a noticeable delay in changing gears. It is not very responsive either because if I depress the gas pedal, I expect it to downshift, but it won’t. Fuel economy is decent at 18 /25 mpg city/highway. Refinement is unbefitting for a car of this price. There is a lot of road noise from coarse pavement, and as well as some wind noise seeping in the cabin. The engine is the biggest factor in its lack of refinement. It sounds very raspy and unrefined. At first glance, fit and finish seems good. Look closer, and you’ll notice some misgaps and hard plastics abound. Finding a good driving position is easy although it’s hard to see over the hood if your seat is not raised enough. The dual climate control system makes it easy to set the desired fan speed and mode. 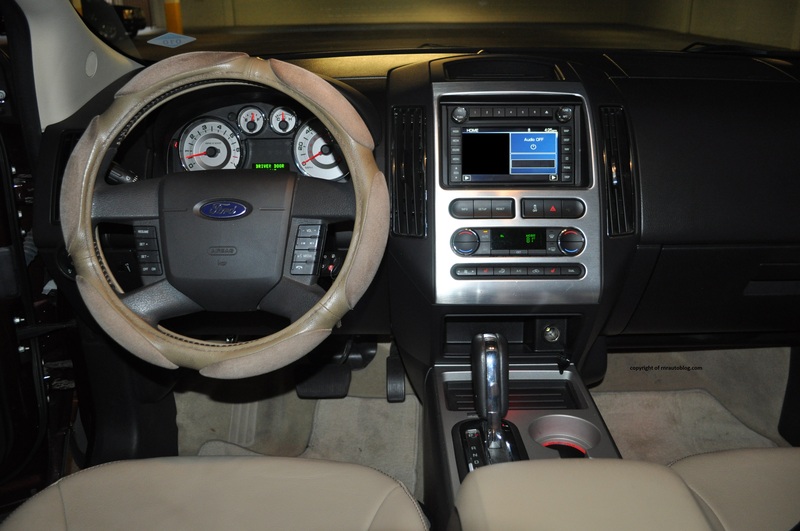 However, the touch screen navigation system takes some time getting used to. The recessed screen features small buttons that are a reach from the driver. The graphics also seem outdated, and the touchscreen responds slowly. The plush seats provide decent comfort while the cabin feels airy with generous headroom and legroom. The panoramic sunroof tilts and slides open, a nice touch. Most passengers will be happy in the spacious rear as the low step in height and wide opening doors aid access. 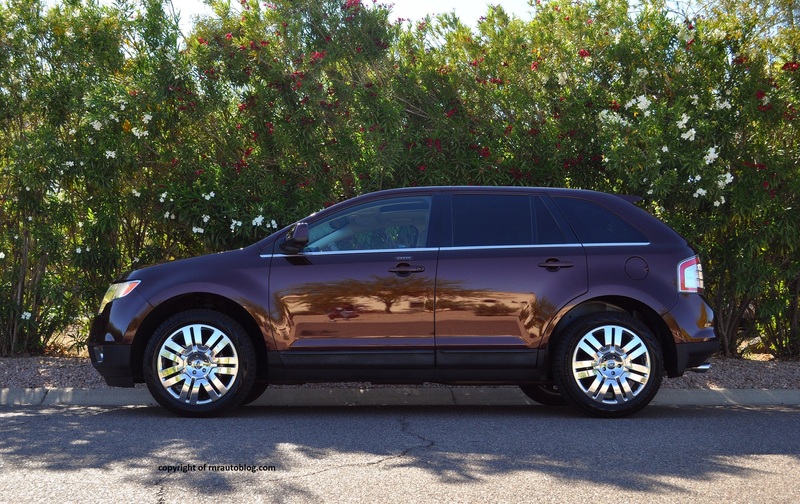 The cargo area trails other midsized SUVs such as the Honda Pilot or the Toyota Highlander. These SUVs feature a third row seat which the Edge lacks. Cabin storage is adequate. 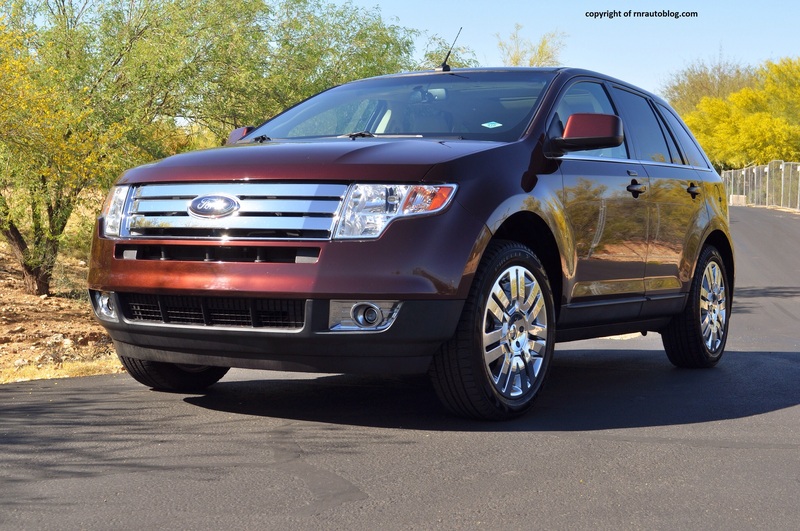 Considering Ford’s emphasis on truck-based SUVs, the Fusion-based Edge represents a refreshing change. As an experiment, the Edge fares well. 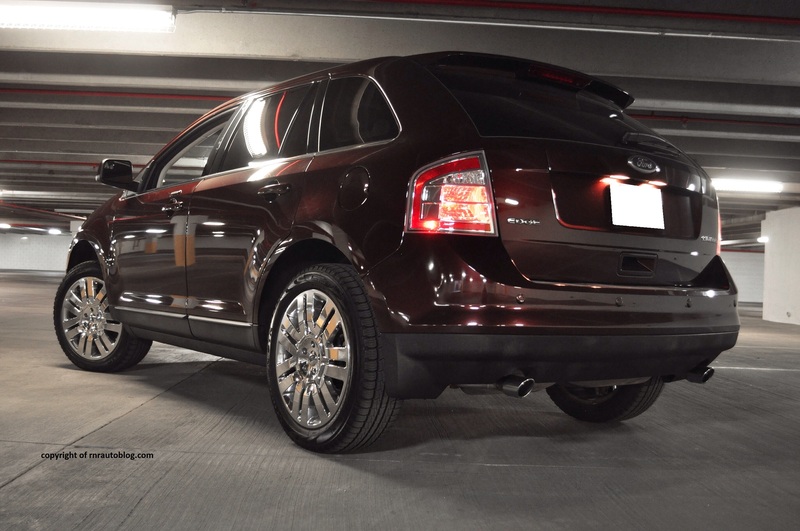 It combines Ford virtues in an attractively styled package. 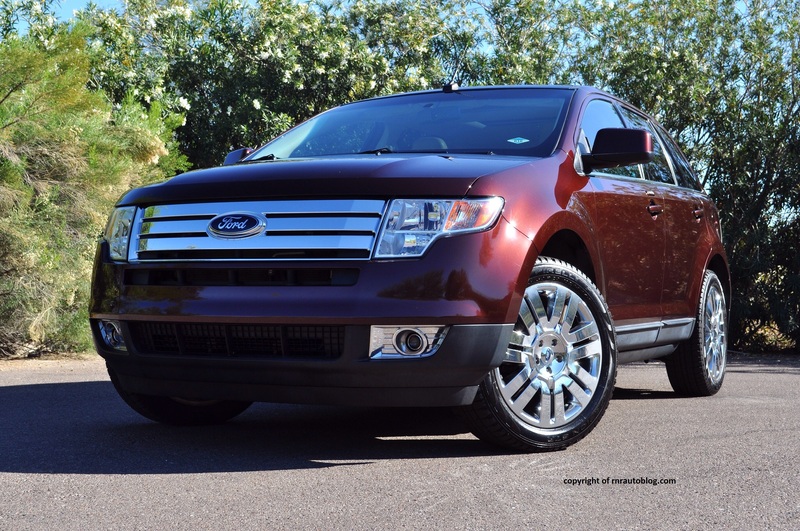 It offers a spacious cabin and better driving dynamics to that of an Explorer. The only major problem for me is that it is exciting on paper, but not in reality. 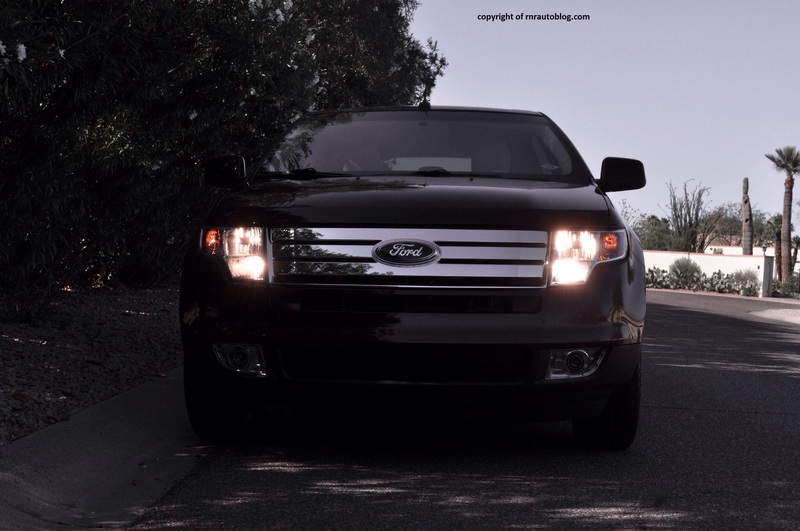 The Edge isn’t flawed fundamentally, but its styling is not matched by the drive. In other words, it does not have the substance to back up its looks. 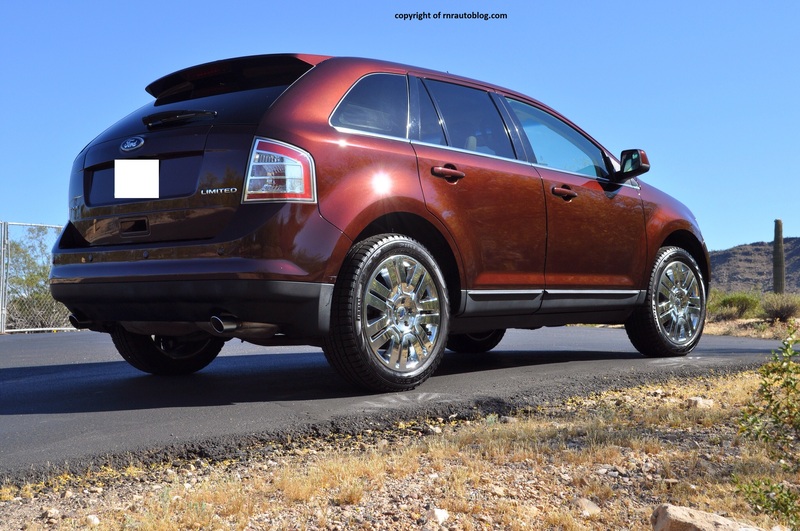 Granted as an SUV, it’s not expected to have handling reminiscent of a sedan, but for something with Edge inscribed in the name, you would expect the handling to be edgy. 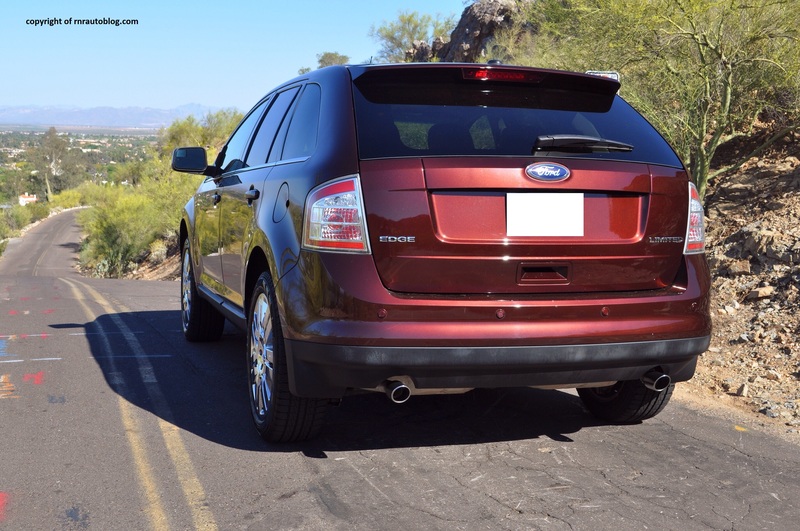 Without an engaging driving experience, this Edge just feels like another Ford. Regardless, it’s still a fine SUV. For some people, there is nothing wrong with that.